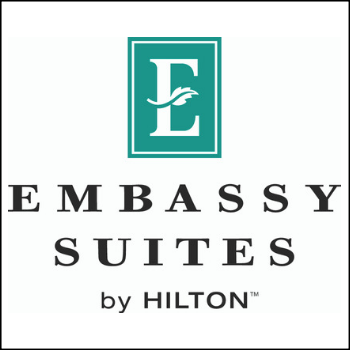 The Embassy Suites by Hilton in Sarasota, Florida, is a 19-floor, all-suite hotel within walking distance of Downtown Main Street, one of the city’s most vibrant areas. Located at 202 N. Tamiami Trail in beautiful Downtown Sarasota, this upscale hotel offers all-suite accommodations ranging from a Studio to Queen and King Suites. All suites feature modern decor and luxurious furnishings, wet bars and high-speed internet. We offer eight large corner suites, 108 King Suites and 72 Doubles. Located in the heart of Downtown Sarasota, our waterfront hotel is just minutes from the finest places to eat, explore, shop and play. Our all-suite hotel is close to all of the action – from the Marie Selby Botanical Gardens to the Ringling Fine Arts Museum and the Sarasota Jungle Gardens.